The Astoria Downtown Historic District Association (ADHDA) requires program funding and volunteer support to continue to our mission: Encouraging community involvement and investment in preserving the character of historic downtown Astoria while promoting its health and future. 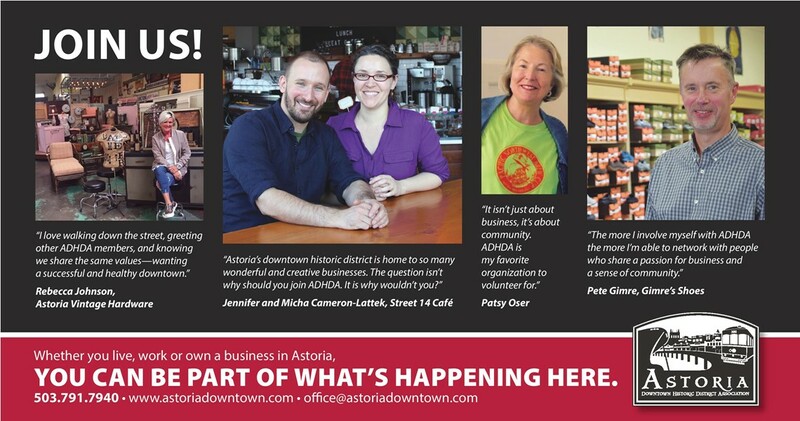 YOU can make an investment in downtown Astoria’s future and help make it a downtown we can all be proud of. Making a difference in YOUR downtown! We serve as the 'downtown voice' at all City Council meetings. 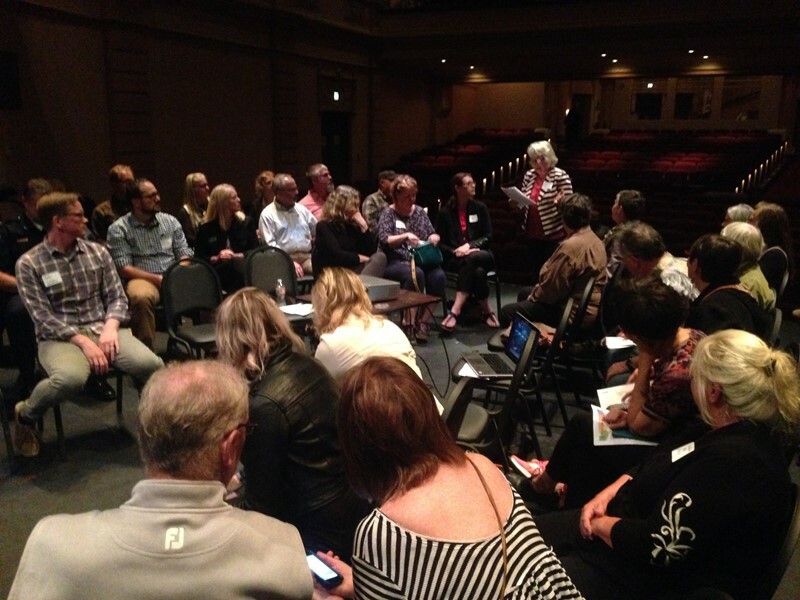 Our Welcome Wagon Program helps new downtown businesses get started on the right foot. We promote shopping at local independent retailers by organizing the July 4 Sidewalk Sale, Downtown Trick or Treat, Plaid Friday festivities and the downtown holiday lighting ceremony. We host NED Talks (Novel Efforts Downtown) to help merchants learn about local business resources to run more efficiently. We host the Planter Watering Program and Downtown Cleanup Days. Sidewalk Blocks Program assists property owners in replacing the historic purple glass tiles, providing labor, appropriate materials, and covering half of the material cost. Promoted local events through the Downtown Banner Program. We hang "Mitch’s Witches" that are always a “smash” downtown during the scary season. We have activated 13th Street Alley with lighting and plan on commissioning artwork for the space as well. We are happy to provide assistance and answer any of your questions. Please contact us by phone, (503) 791-7940, email, office@astoriadowntown.com, or visit us at the office, located at No 1-12th Street, Suite 114.